Hi and welcome to my post today where I am sharing a card that would be suitable for almost any occasion. The design could also be altered simply by changing colours or the feature image, which is a basket of flowers in my example. 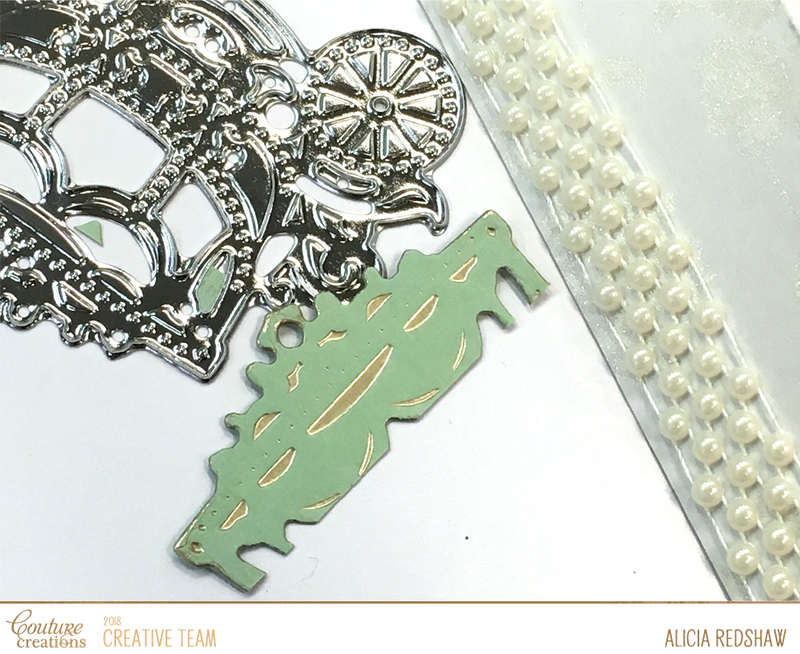 I really wanted to have a lacy border on my card, and I wanted it to be from something unexpected – hence I have used the top portion of the Gorgeous Carriage Cut, Foil & Emboss Die with green cardstock and Pale Gold Heat Activated Foil. I scored the card front 2″ from the right hand edge and folded it back towards the front of the card before adhering it with foam tape. 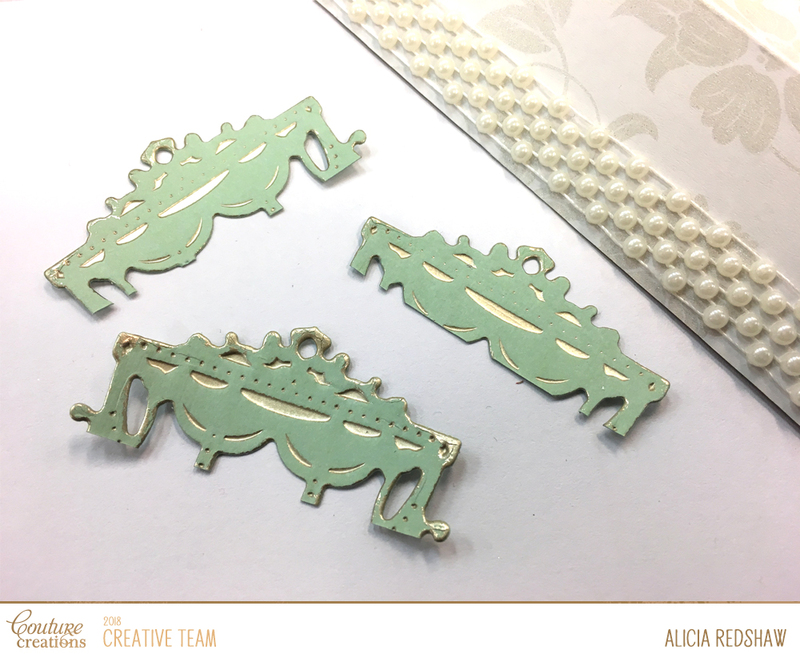 I then covered the 2″ portion and the inside of the card with a wrap of the Special Occasions Damask paper before adding Pearlised Lace and the Carriage tops to the edge. 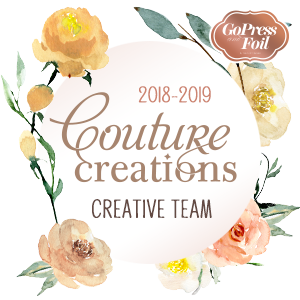 The Botanical and Basket Cut, Foil & Emboss Dies have been cut from Lilac cardstock with Pale Gold Heat Activated Foil, before the addition of Cottonball Liquid Drops 3D Pearls for some extra detail. 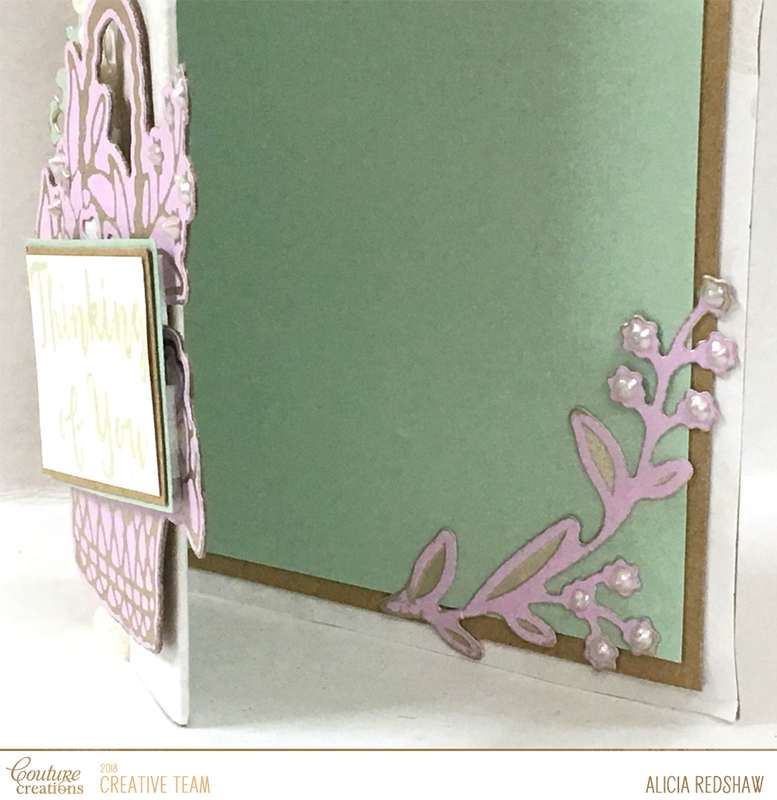 I have used layers of green cardstock, Kraft cardbase and Damask paper on the inside of the card and as the sentiment block, which I have attached with Foam Tape.